In the past 30 years, the number of people being bitten by sharks has climbed dramatically. As the Florida Museum of Natural History’s International Shark Attack File shows, the number of unprovoked shark attacks rose globally from 226 in the 1980s to 661 in 2009. Human populations are growing and, thanks to conservation efforts, so are shark numbers. With more people and sharks in the water, the fear fostered by this conflict over shared space has fueled a growing shark repellent industry that markets devices that promise to keep sharks away from those who venture into the sea. Yet for all the attention these inventions invite, little is known about whether they actually work. The rise in availability of these deterrents has not been matched with independent, rigorous, and peer-reviewed tests to inform the public about their effectiveness, Charlie Huveneers, a shark ecologist at Flinders University in Australia, says by email. But in a new study, Huveneers and his colleagues have dipped into shark-filled waters to test the devices—and have come to a sobering conclusion. For a series of trials, Huveneers and his colleagues headed to the Neptune Islands Group Marine Park in Australia, the site of the largest-known gathering of adult great white sharks in the country. The scientists used a mix of fish oil and southern bluefin tuna to lure sharks toward custom-built surfboard replicas outfitted with the shark repellents. Of the dozen-plus shark repellents available on the market, the team tested five popular options: the Freedom+ Surf, the Rpela, the Sharkbanz bracelet, the Sharkbanz leash, and Chillax surf wax. The Freedom+ Surf and Rpela are electric devices worn by surfers and designed to repel sharks by overwhelming their electroreceptors, which are capable of detecting minute electromagnetic fields. The Sharkbanz devices are also worn, and they are designed to use magnets to overwhelm sharks’ electroreceptors. The Chillax surf wax is a different approach—surfers apply the wax to their boards, and the smell is supposed to mask any scents sharks may like and keep them at bay. The scientists measured the effectiveness of each device in a number of ways: they recorded how close the sharks came to the tuna, how many passes they made to investigate the food, how often they actually took the bait, and whether they reacted to the deterrent in an observable way. In all, they conducted 297 successful trials and watched 44 great white sharks interact with the bait 1,413 times. Based on the data, Huveneers says some products are capable of affecting the behavior of sharks and can reduce the risk of a shark bite, while others did not have the advertised outcome. The Freedom+ Surf scored the best—it reduced the percentage of times the shark took the bait from 96 to 40. The other shark repellents, however, had little or no measurable effect on great white shark behavior. Sarah Waries, a project leader for the South Africa-based Shark Spotters (an organization that uses lookouts to alert swimmers when a shark is nearby), says many of the shark deterrents were designed based on techniques shown to be effective at repelling smaller, less dangerous shark species than great whites. But this new evidence shows that their efficacy on those species does not translate to large, curious sharks such as great whites, she says. “It is not very surprising to me that the majority of shark repellents that the study looked at don’t work,” says Waries. Huveneers says some manufacturers are making unsubstantiated claims about their products that give surfers a false sense of security, which could be leading people to put themselves in more dangerous situations than they otherwise would. For example, some surfers and spearfishers continue to visit areas with high shark abundance that are closed to people because they feel safe when wearing these products, he says. Neil Campbell, owner of the Common Sense Surf Company, the manufacturer of Chillax surf wax, says the study was unfair to his product. “By using berley [tuna chum], they created unnatural conditions for the testing of a deterrent,” Campbell says. He also says the wax was applied to the surfboard at the wrong temperature, perhaps in a misguided attempt to improve its effectiveness. Huveneers, however, thinks the trial was fair. In his study, Huveneers writes that the tuna berley may have masked the smell of the wax, but its use was necessary to obtain a sufficient number of trials. However, he writes, “none of the ingredients used in Chillax wax is by itself an established shark repellent,” though he acknowledges more research on the wax is warranted. Huveneers hopes the results allow private and government agencies and the public to make informed decisions about the use and suitability of these five products. 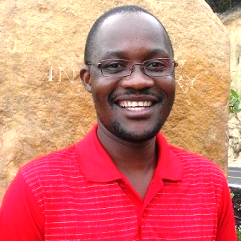 Munyaradzi Makoni is a freelance science journalist from Zimbabwe who lives in Cape Town, South Africa. He writes about agriculture, climate change, environment, marine sciences, health, higher education, sustainable development, and science in general. He was Canada’s International Development Research Centre-Research Africa science journalism fellow in 2012. His journalism work has appeared in various media organizations including Africa Renewal, Forskning & Framsteg, Intellectual Property Watch, IPS, SciDev.net, Thomson Reuters Foundation, and University World News among others. Cite this Article: Munyaradzi Makoni “Many Shark Repellents Don’t Work,” Hakai Magazine, Nov 7, 2018, accessed April 23rd, 2019, https://www.hakaimagazine.com/news/many-shark-repellents-dont-work/.